Ronald September 23, 2017 Why Prevention Is More Important Than Detection for Enterprises Combating Fraud2017-09-23T17:26:13+08:00 Topics: Business. Subjects: Big Data, Enterprise Security, and Fraud Prevention. Technology that’s too slow by a minute can do some serious harm to an enterprise. In fact, a false sense of security could be what sets so many businesses up to be exploited so easily. Many enterprises focus on preventing fraud by identifying acts that have already taken place. Predictive and intuitive detection is the only authentic form of prevention in a world where hackers and perpetrators of fraud can get into a system, do their work and be gone before anyone notices. Large media enterprises like ESPN, Fox News and CBS Sports were recently caught up in a large-scale fraud network that stole between $3 million and $5 million daily by exploiting loopholes in premium-video advertisements. The digital-advertising world is just one industry that has been affected by sophisticated and unceasing fraud attempts. This case is highly representative of where various industries stand when it comes to stopping fraud. The threat doesn’t always come from the outside. 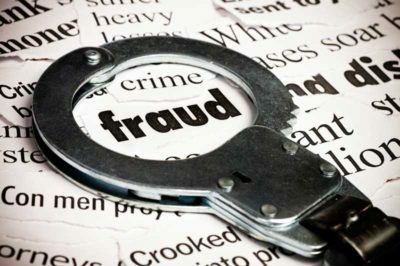 Employee theft accounts for a large chunk of the billions of dollars retailers and enterprises lose to fraud ever year. 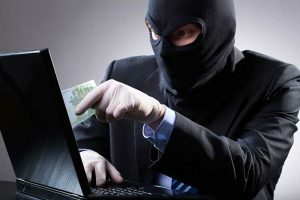 A big reason why fraud has been able to continue on such a wide scale is because enterprises are focused on post-event detection instead of putting their resources into prevention. For instance, the fraudsters exploiting digital advertisements from ESPN, Fox News and CBS Sports have been able to succeed by creating hundreds of thousands of counterfeit IP addresses. The fraudsters register those IP addresses to major online service providers. They then use bots to generate hundreds of millions of views and charge brands for premium video ads. This behavior was able to slip under the radar because legitimate IP addresses that were assigned to major service providers like Verizon and Comcast were used. Unfortunately, there is often little that enterprises can do once the horse is out of the barn. The bots that are being used to defraud major advertisers are still in use. This is a classic example that demonstrates why detecting and knowing about fraud simply isn’t enough. Big data is the big hope when it comes to stopping fraud from becoming unstoppable. Fighting fire with fire is really the only way that enterprises can stop fraudsters and hackers. Fighting fire with fire means fighting high-tech, highly automated tools and bots with intuitive tools that work in real time. Why are systems that utilize big data for financial services so effective at stopping fraud? Big data uses predictive channels to observe and anticipate nefarious actions. A system that pulls from big data to stop fraud doesn’t just put the breadcrumbs together once someone has already broken into a system. This type of system uses small indicators, disruptions or anomalies to predict when someone is about to attempt a breach. Big data is especially effective for preventing fraud that is internal in both corporate settings and when it comes to general retail loss prevention. A system can be set up to detect and act on anomalies that result in abnormal inventory trends or suspicious transactions.